1. Ferlay J., Soerjomataram I., Ervik M. et al. GLOBOCAN 2012 v. 1.0. Cancer incidence and mortality worldwide: IARC Cancer Base No. 11 [Internet]. Lyon, France: International Agency for Research on Cancer, 2013. URL: http://globocan.iarc.fr/Pages/fact_sheets_ cancer.aspx. (Дата обращения 04.10.2014 г.). 2. Злокачественные заболевания в России в 2012 г. (заболеваемость и смертность). Под ред. А.Д. Каприна, В.В. Старинского, Г.В. Петровой. М.: ФГБУ «МНИОИ им. П.А. Герцена» Минздрава России, 2014. 250 с. [Malignant diseases in Russia in 2012 (incidence and morbidity). Ed. by A.D. Kaprin, V.V. Starinsky, G.V. Petrova. Moscow: P.A. 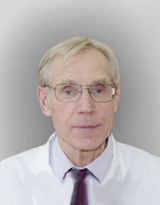 Herzen Oncologic Rsearch Institute, Ministry of Health of Russia, 2014. 250 p. (In Russ.)]. 3. Lakhani S.R., Ellis I.O., Schnitt S.J. et al. WHO classification of tumours of the breast. Lyon: IARC, 2012. Pр. 8–32, 46–7. 4. Dieci M.V., Orvieto E., Dominici M. et al. Rare breast cancer subtypes: histological, molecular, and clinical peculiarities. Oncologist 2014;19(8):805–13. 5. Федяева Л.М. Клинико-морфологиче- ская характеристика вариантов медулляр- ного рака молочной железы. Дис. ... д-ра мед. наук. Челябинск, 2010. 106 с. [Fedyaeva L.M. Clinical and morphological characteristic of breast medullary cancer variants. Thesis ... of doctor of medical sciences Chelyabinsk, 2010. 106 p. (In Russ.)]. 6. Hashmi A.A., Edhi M.M., Naqvi H. et al. Clinicopathologic features of triple negative breast cancers: an experience from Pakistan. Diagn Pathol 2014;9(43). URL: http:// www.diagnosticpathology.org/content/9/1/43. (Дата обращения 10.10.2014 г.). 7. Larribe M., Thomassin-Piana J., Jalaguier- Coudray A. Breast cancers with round lumps: correlations between imaging and anatomopathology. Diagn Interv Imaging 2014;95(1):37–46. 8. Nigam J.S., Yadav P., Sood N. A retro- spective study of clinico-pathological spectrum of carcinoma breast in a West Delhi, India. South Asian J Cancer 2014;3(3):179–81. 9. Sandhu D.S., Sandhu S., Karwasra R.K., Marwah S. Profile of breast cancer patients at a tertiary care hospital in north India. Indian J Cancer 2010;47(1):16–22. 10. Высоцкая И.В., Ермилова В.Д., Летягин В.П. и др. Клинические и морфо- прогностические особенности редких гистологических типов рака молочной железы. М.: АБВ-пресс, 2011. 142 с. [Vysotskaya I.V., Ermilova V.D., Letyagin V.P. et al. Clinical and morphoprognostic properties of rare histological breast cancer types. Moscow: ABV-press, 2011. 142 p. (In Russ.)]. 11. Anderson W.F., Pfeiffer R.M., Dores G.M., Sherman M.E. Comparison of age distribution patterns for different histopathologic types of breast carcinoma. Cancer Epidemiol Biomarkers Prev 2006;15(10):1899–05. 12. Cao A.Y., He M., Huang L. et al. Clinicopathologic characteristics at diagnosis and the survival of patients with medullary breast carcinoma in China: a comparison with infiltrating ductal carcinoma-not otherwise specified. World J Surg Oncol 2013;11:91. 13. Park I., Kim J., Kim M. et al. Comparison of the characteristics of medullary breast carcinoma and invasive ductal carcinoma. J Breast Cancer 2013;16(4):417–25. 14. Galzerano A., Rocco N., Accurso A. et al. Medullary breast carcinoma in an 18-year-old female: report on one case diagnosed on fine- needle cytology sample. Diagn Cytopathol 2014;42(5):445–8. 15. Vu-Nishino H., Tavassoli F.A., Ahrens W.A., Haffty B.G. Clinicopathologic features and long-term outcome of patients with medullary breast carcinoma managed with breast- conserving therapy (BCT). Int J Radiat Oncol Biol Phys 2005;62(4):1040–7. 16. Kennedy R.D., Boughey J.C. Management of pediatric and adolescent breast masses. Semin Plast Surg 2013;27(1):19–22. 17. Bertucci F., Finetti P., Cervera N. et al. Gene expression profiling and clinical outcome in breast cancer. OMICS 2006;10(4):429–43. 18. Vargas A.C., Da Silva L., Lakhani S.R. The contribution of breast cancer pathology to statistical models to predict mutation risk in BRCA carriers. Fam Cancer 2010;9(4):545–53. 19. Anderson W.F., Devesa S.S. In situ male breast carcinoma in the Surveillance, Epidemiology, and End Results database of the National Cancer Institute. Cancer 2005;104(8):1733–41. 21. in radiotherapy center of hamedan, iran. Asian Pac J Cancer Prev 2013;14(12):7381–3. 22. Gombos E.C., Kelemen K., Poppiti R.J. Jr. Infiltrating carcinoma with medullary features in the male breast: imaging and pathologic findings. Breast J 2004;10(6):548–9. 23. Flucke U., Flucke M.T., Hoy L. et al. Distinguishing medullary carcinoma of the breast from high-grade hormone receptor- negative invasive ductal carcinoma: an immunohistochemical approach. Histopathology 2010;56(7):852–9. 24. Foschini M.P., Eusebi V. Rare (new) entities of the breast and medullary carcinoma. Pathology 2009;41(1):48–56. 25. Oh J.W., Park S., Kim J.H. et al. Clinical analysis of medullary carcinoma of the breast. J Breast Cancer 2009;12:47–53. 26. Thurman S.A., Schnitt S.J., Connolly J.L. et al. Outcome after breast-conserving therapy for patients with stage I or II mucinous, medullary, or tubular breast carcinoma. Int J Radiat Oncol Biol Phys 2004;59(1):152–9. 27. Martinez S.R., Beal S.H., Canter R.J. et al. Medullary carcinoma of the breast: a population-based perspective. Med Oncol 2011;28(3):738–44. 28. Фишер У., Баум Ф., Люфтнер-Нагель С. Заболевания молочных желез. Пер. с англ. Под общ. ред. Б.И. Долгушина. М.: МЕД- пресс-информ, 2009. С. 181–3. [Fisher U., Baum F., Luftner-Nagel S. Direct Diagnosis in Radiology: Breast Imaging. Transl. from English. Under the general editorship of B.I. Dolgushin. Moscow: MEDpress- inform, 2009. Pp. 181–3. (In Russ.)]. 29. Newcomer L.M., Newcomb P.A., Trentham- Dietz A. et al. Detection method and breast carcinoma histology. Cancer 2002;95(3):470–7. 30. Karan B., Pourbagher A., Bolat F.A. Unusual malignant breast lesions: imaging- pathological correlations. Diagn Interv Radiol 2012;18(3):270–6. 31. Kopans D.B. Breast Imaging. Lippincott Williams & Wilkins, 2007. P. 862. 32. Yilmaz E., Lebe B., Balci P. et al. Comparison of mammographic and sonographic findings in typical and atypical medullary carcinomas of the breast. Clin Radiol 2002;57(7):640–5. 33. Заболоцкая Н.В., Заболоцкий В.С. Но- вые технологии в ультразвуковой маммо- графии. М.: ООО «Фирма СТРОМ», 2010. С. 216–8. [Zabolotskaya N.V., Zabolotsky V.S. New technologies in ultrasound mammo- graphy. Moscow: Firm “STROM” LLC, 2010. Pp. 216–8. (In Russ.)]. 34. Fleury Ede F., Assuncao-Queiros Mdo C., Roveda D. Jr. Breast carcinomas: variations in sonoelastographic appearance. Breast Cancer (Dove Med Press) 2014;6: 135–43. 35. Parajuly S.S., Lan P.Y., Yan L. et al. Breast elastography: a hospital-based preliminary study in China. Asian Pac J Cancer Prev 2010; 11(3):809–14. 36. Sohn Y.M., Kim M.J., Kim E.K. et al. Sonographic elastography combined with conventional sonography: how much is it helpful for diagnostic performance? J Ultrasound Med 2009;28(4):413–20. 37. Athanasiou A., Tardivon A., Tanter M. et al. Breast lesions: quantitative elastography with supersonic shear imaging – preliminary results. Radiology 2010;256(1):297–303.